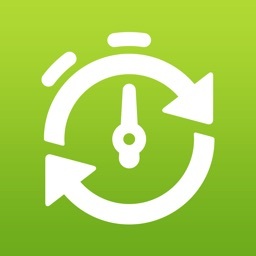 "Do the simple things repeatedly, do the repeated things continuously, and then you will be successful." 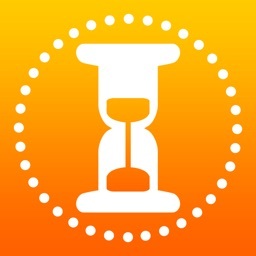 ReTimer, the useful iOS App for time control, supports you to be the winner of life. 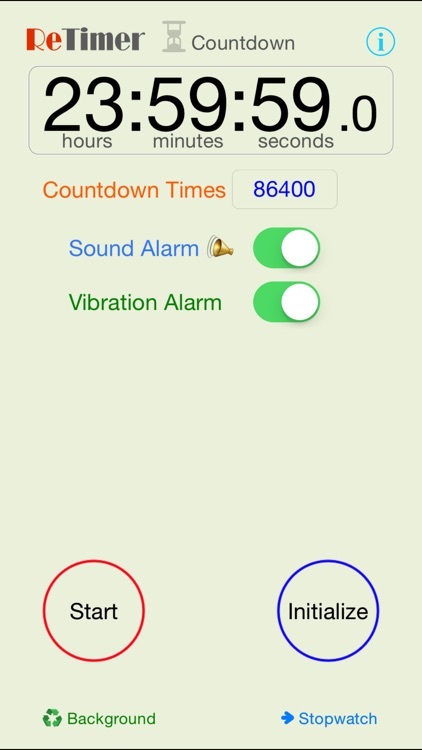 ReTimer provides a repeatable countdown timer and a split-time stopwatch, both provide various sound alarms for repetition tasks. 1. 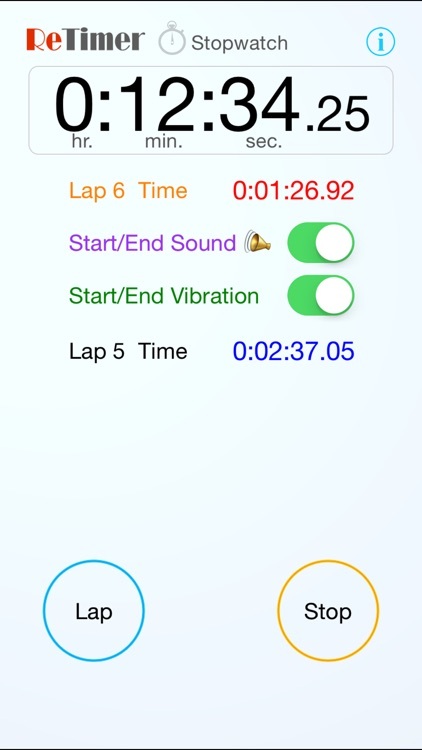 Repeating timer for countdown and split time with lap counter for stopwatch. 2. 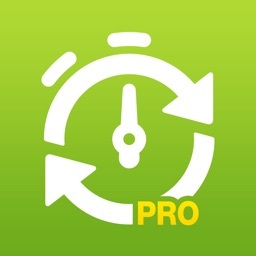 Support rotation; both of portrait and landscape modes are operable. 3. Extremely simple use with only two buttons for Start/Pause/Restart/Stop/Lap/Continue/Rest/Initialize. 4. 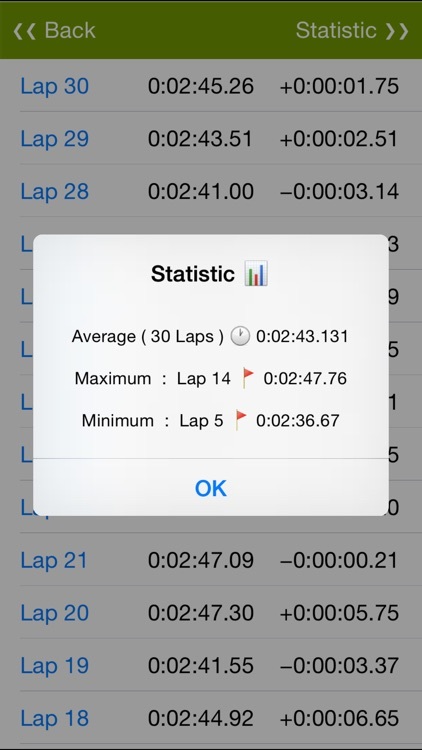 Easy setting for timer interval and listing statistical data for stopwatch. 7. Design with succinct style. 1. Measure operation time for cooking, gymnastics, fitness walking, etc. 2. 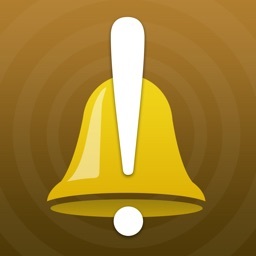 Practice examination time control by warning of preset spending time for each question. 3. 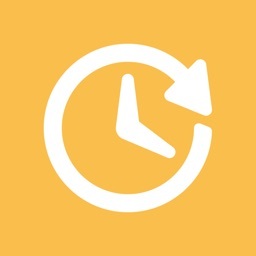 On-line game player watches the time of network connection, role special status or instance appointed tasks. 4. 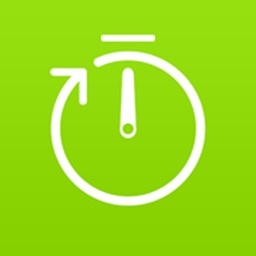 Elapsed time alarm for presentation, meeting, talking, driving, etc. 5. 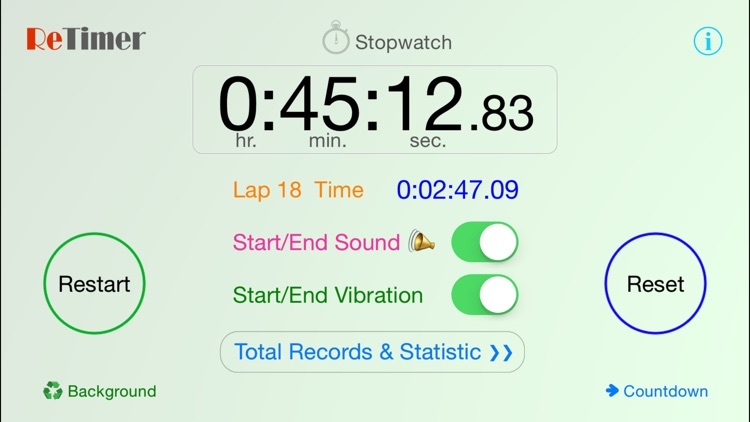 Record laps time for relay race.